Thank you Pinterest for making this one of my most viewed posts! If you like crafty tutorials, be sure to check out my other fun projects linked above. I am so thrilled to be a part of Scrapbook Heaven's first ever blog hop (and it happens to be my first blog hop, too)! Thanks so much for joining us! If you're popping by here and didn't know the fun that's going on, please go back to Scrapbook Heaven to get all the deets for the Hop. Our members have some wonderful inspiration to share with you..... and also, some great prizes. The theme for the Hop is "Spring in my Step". 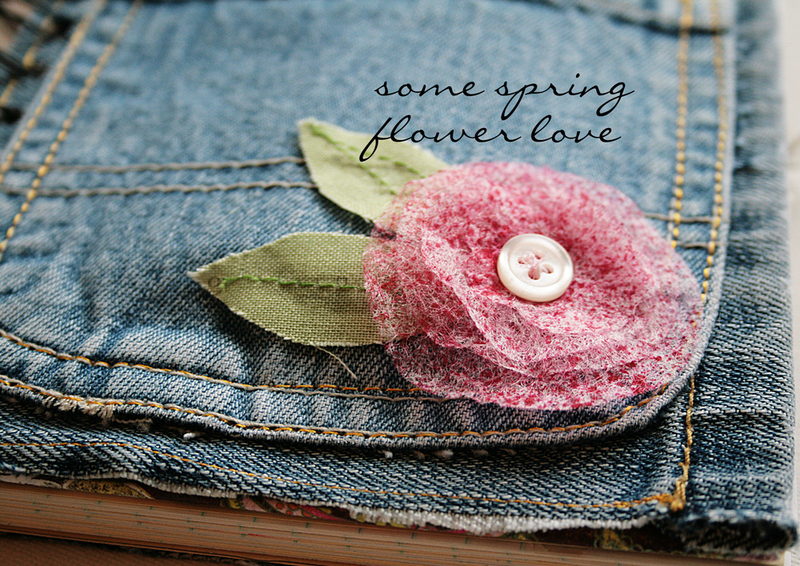 We'll be sharing a variety of Spring-y projects with you. There's lots of recycling packed into this little book. Let's get started, shall we? and cut yourself a leg and a pocket. Cover one side of the chipboard with patterned paper. Make mitered corners by snipping the corners off the paper to a spot equal to the thickness of the chipboard. Glue and fold over edges. This is about the spot in the tutorial that I got a bit excited about the project and completely stopped taking pictures. Sorry about that, but I know you'll get it without the visuals, so here we go. I kept the hem of the jeans in tact on one side, and sewed the other three sides on both pieces. I didn't bother turning the fabric under, but just sewed close to the edge to keep fraying under control. 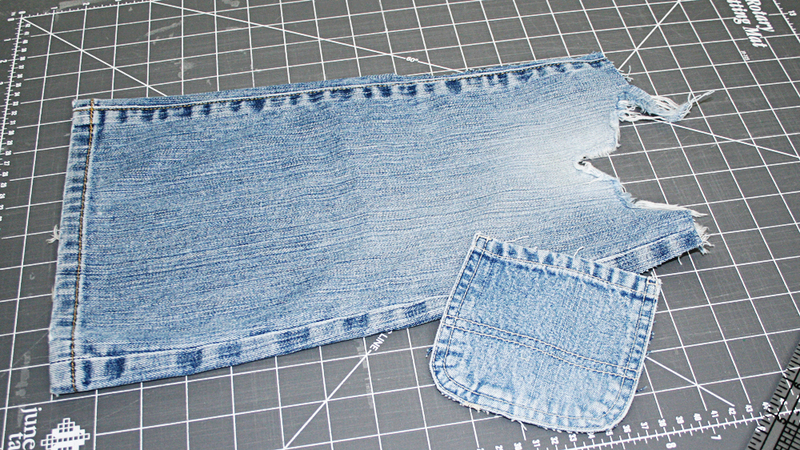 If those little stray pieces bother you, then be sure to add a seam allowance when you cut your denim. 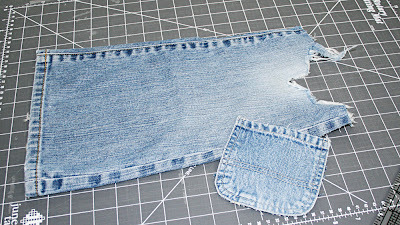 Now stitch the pocket to the denim on three sides twice around. And add your little flower embellie. Oh, here's how you make the one I used. Cut a used dryer sheet into four different sized circles (they don't need to be perfect), or use the Sizzix Circles die. Add color to the circles by misting them with ink. Layer the circles from largest to smallest and stitch a button to the center. 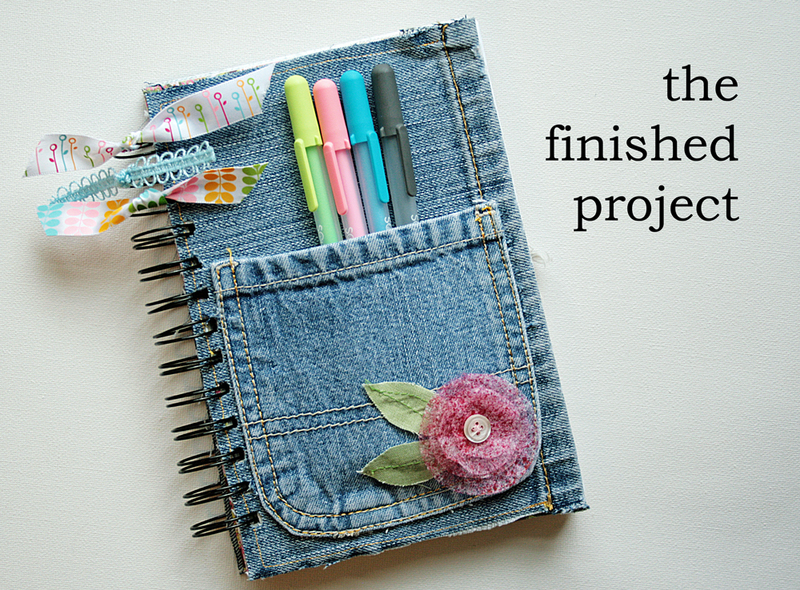 Glue the pocket-embellished-denim to the front cover, and the plain denim to the back. 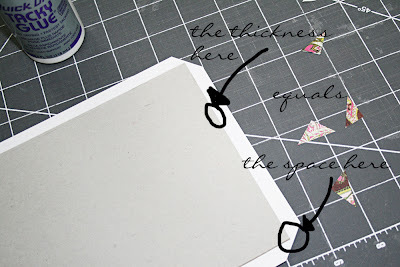 Cut bunches of scrap paper to size to use as your journal pages. I used leftover paper from a nearly used up spiral notebook, some solid cardstock scraps, and some copy paper. I also like to add some little page protectors to my journals to add bits of this and that. Bind it all together with a binding machine, or use the Crop-a-Dile to punch holes and secure with rings or tied ribbon. Add a bit of ribbon to the binding, and some pens in the pocket. 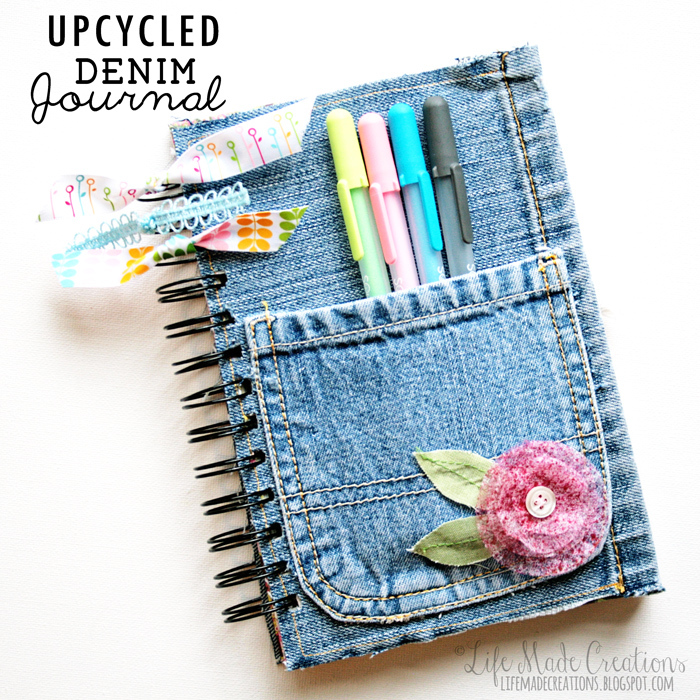 And there you have it, a recycled journal complete with on-board pen holder. Thanks so much for hanging in there through all those directions. Our blog hop runs from today, April 17th until April 20th. Invite your friends to play along! We'll be drawing for prizes on Wednesday, the 21st. Leave a comment here before the 21st for a chance to win an assortment of handmade flower embellies. OMG!!! This is just tooo cute! Love this journal!!! Wow! What a cool idea! Thanks so much for sharing it with us! BEAUTIFUL! Oh - how clever! Want to do this!! oh wow!! that is soooo cute!! I LOVE it! and I've got to remember to make a flower like that! thanks!! This is totally awesome!!!! Since RonChops only has one pair of jeans and I don't own any I am gonna have to hit up the thrift store to get some! ...and I adore that little flower (of course)!!! I can see making something like this for the cover of my next sketch book for sure!!! what a great project! I might have to go raid the kids' closets!!! What a great journal! I have a pair of jeans that I can no longer wear (but have been keeping for who knows why... they have a massive hole in them! ), but this would be the perfect way to use 'em! OMGosh, what an adorable idea! and I love the flowers! I think I am going to make a million of those today!!! omigosh!! how cute is that journal!! I want to make one NOW! Love that little notebook! So creative! what a grat idea!!! thanks for sharing the step-by step! That is the cutest thing ever! My dd would love one. this is so gorgeous! i'm SO going to have to make this! hi michelle! i absolutely love your "green" notebook! sending you crafty greetings from NJ! Love the blue jean journal. I will have to try to make one of these. TFS! LOVE this!!! What a terrific project! Those flowers look awesome, too! Oh my gosh! What a cuuuuute journal!! That is so darn cute. Thanks for the idea. 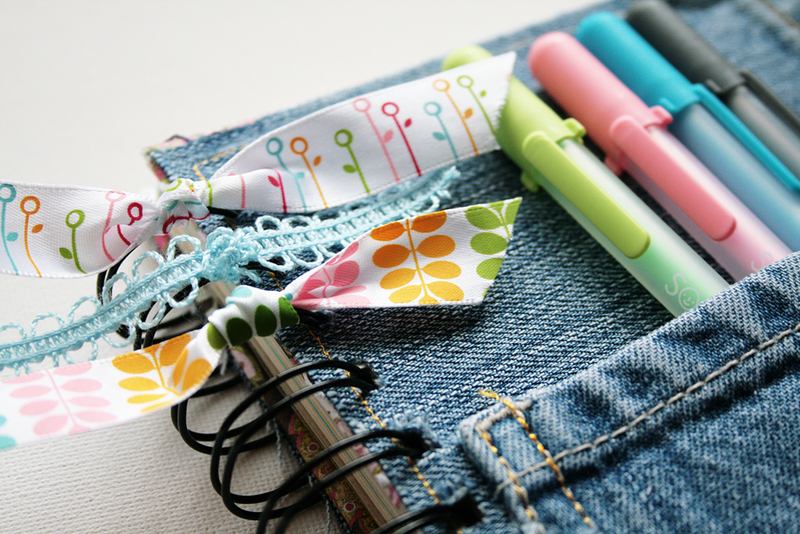 I love that you put your pens in the pocket! This is awesome!! 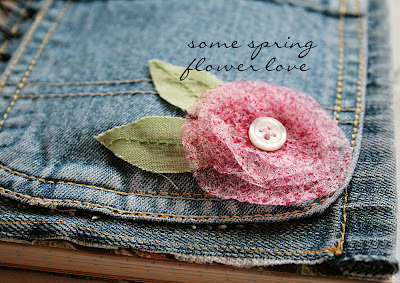 So cute and "spring-y"
Michelle, love the tutorial! Your ribbon is fantastic!! Wish I had a bind it all!! Love that you recycled! !Your writing was clear and read well!! GREAT JOB on this!! What a cute book. I just love it and I keep it in mind to use this idea as a travelbook for my trip to Barcelona! Michelle - This is so cute...and actually looks like something I could do! Love it. Great recycling project. Very easy anyone can do it. You did good. This is just adorable!!!! Love the REAL and usable pocket! How much fun is that journal...AWESOME!! THIS IS JUST TOO DARN CUTE!!! Because i lobe so muche all handmade fowers, it is so original and funny ! gosh, this is a journal I will surely love to try. better find my hubby old pair of jeans to do this! Gorgeous - I've been looking for an idea to cover a notebook :) Love the pocket idea as well! Great project! 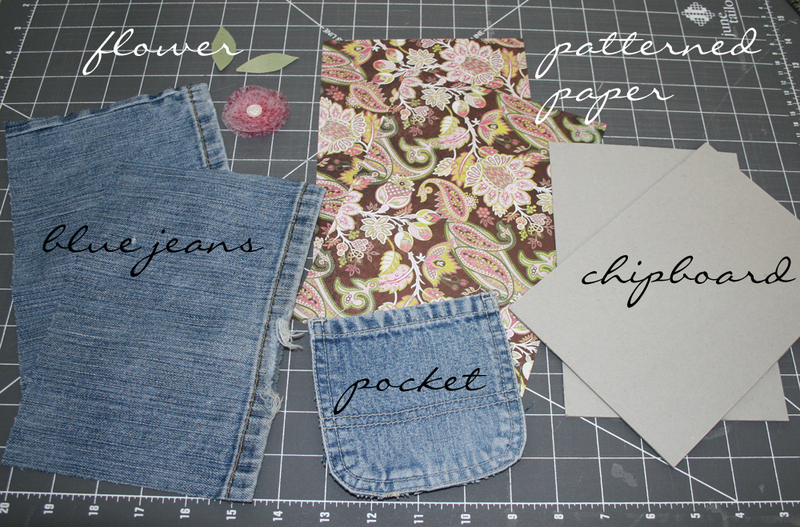 I have plenty of old jean scraps I can use for this. This is an awesome project!!! I don't have a pocket, but I do have 2 legs from a pair of jeans that my daughter cut off for shorts. I have been looking at them wondering..hmm, what can I do with this, now I know!!! ô what a beautiful crochet-flower, and i love all handmade goodies ! Thanks for this tutorial. I love repurposing denim. Gracias, me encanto la idea. This is the coolest thing ever....I am a journaler and this would make such a great handmade gift for my teenage grandaughters...thank you so very much for sharing not only the picture but the directions as well. Wonderful! I love it! I am in Spain and I am going to subscribe your posts!! Sloop cute and decorative. Thanks for sharing! Great journal and tutorial - thanks so much! 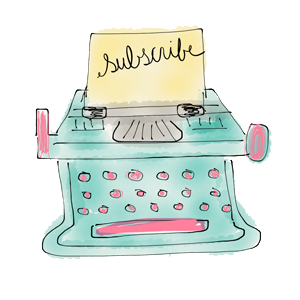 (apart from your craft), what a lovely blog design! This caught my eye immediately. I am pinning it to my board of paper projects. Dryer sheets! How clever. Thanks for sharing the instructions. 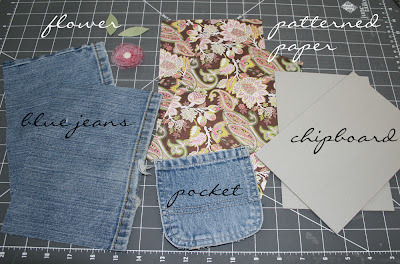 I am still working on a denim bag and keep pieces of fabric around for other ideas. Now I have another one. Thanks so much for visiting my blog. I love that you are leaving a little note to let me know you were here! All content copyright Michelle Neddo & Life Made Creations. Simple theme. Powered by Blogger.